Journalists, historians, anthropologists and social commentators often observe historical cycles better than the average person including astrologers because they pay great attention to the unfolding of events. This is certainly the case with the arrival of the Age of Aquarius in the 15th century – a century most prominent historians consider being the most important century of recent times for numerous reasons as well as being the demarcation century between Medievalism and Modernity. The modern world has sprung out of the 15th century. The claim that a new age began in the 20th century is simply absurd to historians. One observant journalist, Michael Barone, writing in the conservative Townhall.com, asks if the USA is returning to Victorian values. He first notes that 47 years ago with the opening of the musical “Hair” that the audience was informed that America was entering the Age of Aquarius and therefore the old moral rules were extinct. He then acknowledges the massive rise in divorce, cohabitation and illegitimate births in the following decades supporting the concept of the beginning of a new period. In conclusion, Barone suggests that the USA is moving away from the Age of Aquarius and instead heading towards a new Victorian Era. From the astrological perspective, this is fascinating because, while the sub-periods of the Age of Aquarius do support the recent trend towards a new Victorianism, as suggested by Barone, it does not suggest any long term deviation from the direction of the Age of Aquarius. 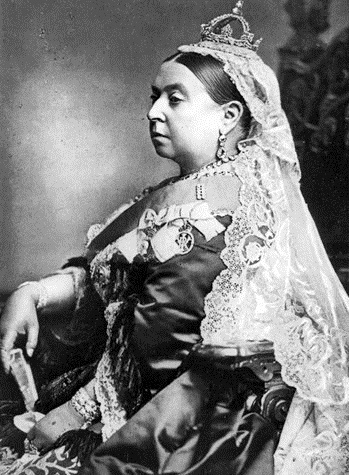 The traditional dates for the Victorian era are 1837 to 1901 – a period of 64 years and remarkably close to the length of a sub-age decan (see the Age of Aquarius for Dummies). The Scorpio sub-age (1791 – 1970) commenced with the Cancer sub-age decan and overflow (1791 – 1851 – 1910) with the highpoint of Cancer associated with the Cancer quasi sub-age (1821 – 1881). There was a strong overlap between the Cancer sub-age decan and the Victorian era. The term “Victorian morality” can be used to describe any set of values that promote sexual restraint, low tolerance of crime and a strict social code of conduct. However the hypocrisy of Victorian time’s has also been widely noted as prostitution and child labor was endemic. The world is not returning to Victorian era values aligned to the Cancer sub-age decan, but we are in the middle of a small but temporarily strong Cancer period. Currently the world is at the peak of the Cancer micro-age and overflow (2000-2014-2029) and so there will be a short term exposure to archetypes associated with Cancer. Such archetypes as shyness, reticence and meekness are associated with Cancer and hedonism is associated with Cancer’s opposite sign Capricorn, so Cancer periods can be anti-hedonistic periods. The current Cancer period however is not an era, we are in fact in an era defined by Gemini – the first sub-age decan of the current Libra sub-age (1970 – 2148). The next time your see someone transfixed by their cellphone or tablet, think Gemini era! There is a common misconception in the press and urban myth that the Age of Aquarius arrived in the 1960s and 70s but has come and gone. Firstly the Age of Aquarius did not arrive in the 20th century. What arrived in the 1960s was a peak at the center of the Scorpio sub-age and overflow (1791-1970-2148). The commonality between Scorpio and Aquarius is that they are both revolutionary signs, and so revolution was definitely in the air in the 1960s and 70s. The Age of Aquarius is like an incoming tide. In an incoming tide, every wave does not extend further up the beach compared to the previous wave – but on average, the waves slowly move up the beach. So, while Barone may be incorrect in concluding that the Age of Aquarius has been shunted aside by a new Victorian conservative future, his perception of Cancer archetypes in both the Victorian era and current period is perceptive and relevant. I prefer to refer to non-astrologers for historical assessments as historians, journalists etc are experts in their field, while astrologers are only experts in astrology unless the individual astrologer is also an historian, journalist etc. This is why so many astrologers make the utterly absurd claim that the Age of Aquarius has recently arrived. Its like saying the Telephone Age began with the Apple iphone!